Sure, everyone can't stop talking about rooting the Kindle Fire right now. But for those who care more about reading than watching YouTube, here's how to start customising your Kindle Touch. You Can Root Your Kindle Fire Now—But Should You? 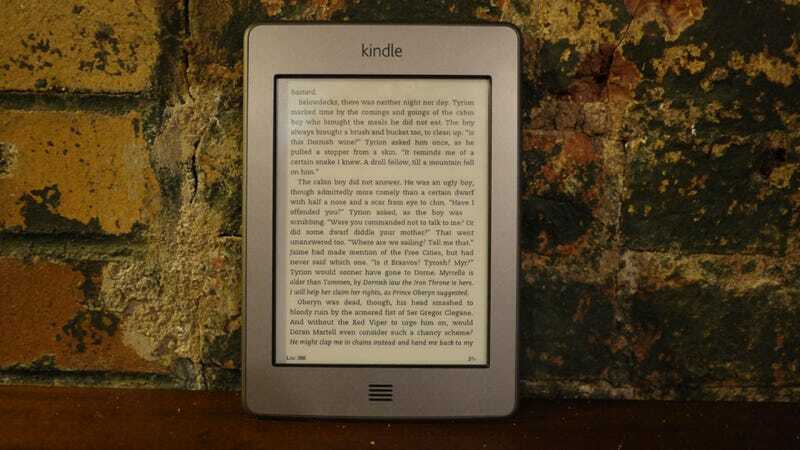 It might be designed with just words in mind, but that shouldn't stop Kindle Touch users having a little fun hacking their device along the way. And the first step is to jailbreak the device in order to install third-party apps. Fortunately, developer Yifan Lu has done the hard work for you. He's just released a jailbreak tool that uses a fairly quirky hack: it relies on opening an MP3 file. While Lu was tinkering with the operating system of the Kindle Touch, he realised it relies heavily on HTML for the UI, unlike the predominantly Java-based versions of old. For now, that makes the Touch much easier to hack. In this case, Lu was able to bury the rooting commands in the ID3 comment tag of an MP3 file. When you open the file, the Jailbreak routine runs – and he's even included a lovely splash screen for you to look at while the hack takes place.